Because electric apparatus could originate from foreign countries, various threads are encountered. It is therefore necessary to fit such threads with the appropriate adaptor. Although glands can be manufactured with special threads, it still leads to the problem that if the gland is replaced later the problem with the original foreign thread entry remains. 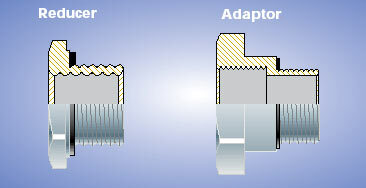 An adaptor, however, can stay permanently in place. Equipment originating in Germany, Switzerland and most European countries are supplied with a PG thread. The letters PG stand for ‘‘Panzerrohr Gewinde’’. 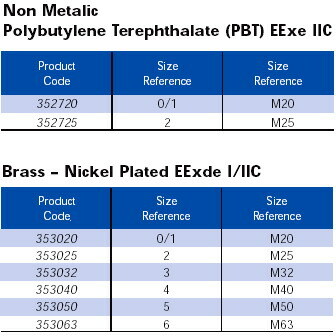 Since the sizes 1/2" NPT-3/4" NPT-1" NPT are close to I.S.O. 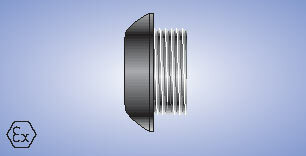 metric threads, it is very easy to mistake them as such. An interface between NPT and metric will, however, not form a flameproof path and fitting a gland direct could lead to disaster.